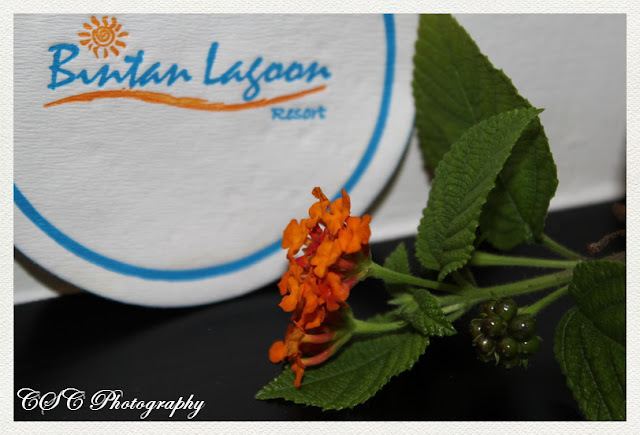 A perfect photo memoir from Bintan Lagoon Resort! Wonderful shot. I've never heard Lantana called tick berry. You are an expert by now!!! Good composition. I did not know tick berry and lantana are one in the same. We have wild lantanas growing just outside our yard fence. I cut them down...they are poisonous to animals. I hate having to cut them down because the flowers are so delightful. Tick berry, lantana and in ilonggo, baho-baho, our Ilonggo name is not a good one though :( beautiful photo Che. cool! what a great way to remember a great vacation with your loved ones. This one is really good. You got excellent detail.